Are you ready to teach online but stuck when it comes to getting the slides made? One of the best ways to create on-demand video lessons is to record your voice along with illustrating (and engaging) slides. Slides are also important for live webinar or webcast teaching. A repeatable process and lesson structure will speed your work and yield slides that engage and teach effectively. When you have a repeatable process, structure, and templates, the work of making slides goes faster–and your teaching style and knowledge can shine. gives you a process and examples for developing your own presentation structures and go-to slide templates. 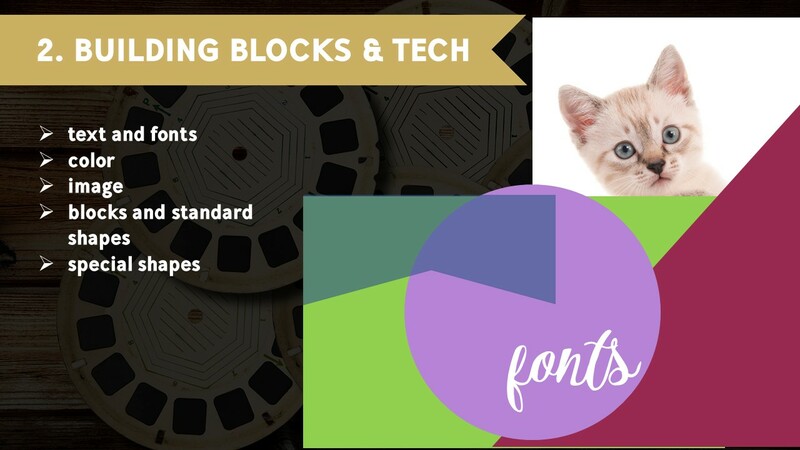 The “tech hacks” lesson lays out how to add and layer text, shapes, borders, and custom elements. 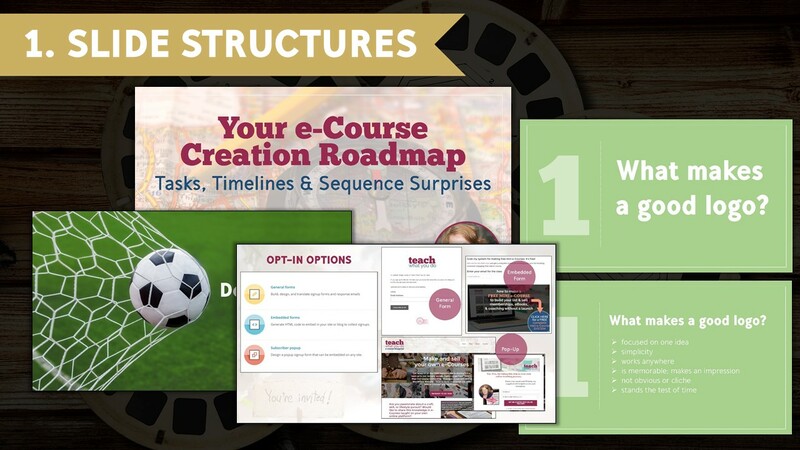 A final video introduces key design lessons for slide creation. Making the slides that go along with a lesson or live presentation gets whole lot easier when you understand that there are a few basic slide types to most presentations. Think of these slide types as the elements that give your lesson or presentation its arc. Understand 5 slide types to mix and match for your own presentations–plenty of examples for your own inspiration and styling. Lesson 2. Building Blocks & Tech. When you understand that these are your basic building blocks—as well as how to render, place and size those elements—the work becomes more clear. In this lesson we look at examples and how-tos for each of these elements. Demos are done with PicMonkey and Powerpoint. Principles translate easily to simple graphics tools like Canva and the slide software Keynote. Lesson 3. 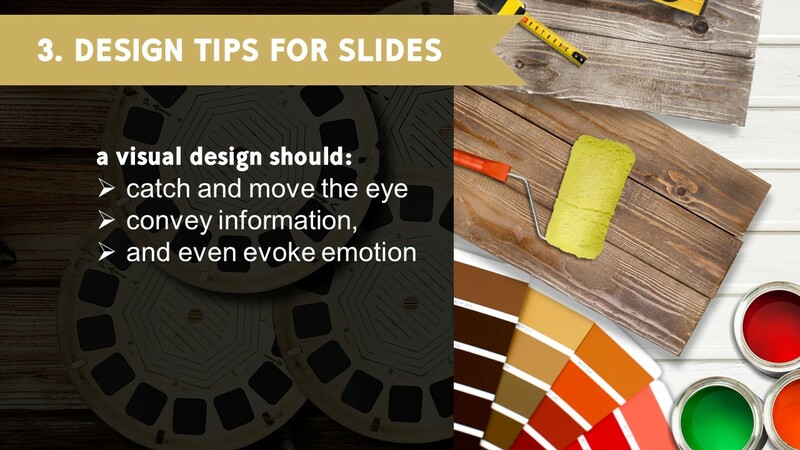 Design Tips for Slides. A strong visual design catches and moves the eye, conveys information, and even evokes emotion. Design principles are tools that help you achieve those ends. In this lesson, I walk you through the making of two quite different cover slides and how to apply basic design principles. © 2016 Debbie Hodge, Teach What You Do. All Rights Reserved.